So, in an attempt to get my dev environment setup properly for RoR development, I started looking for best IDE’s for RoR development. I am a heavy Eclipse user (I use Eclipse and Flex Builder all the time), I thought there must be some Eclipse based IDE surely. And I found RadRails which is an open source IDE for Eclipse or Aptana. In my Previous article on Installing RoR, I spoke about this excellent article which I followed completely to build my first RoR app in just a few mins. This article talks about using the Xcode Organizer for RoR development. Now, thats a Mac Only IDE and I would rather use something that is Eclipse based as I am so much used to it. So, are there any other better options available? What do you guys use? I tried RadRails from Aptana, didn’t like it. Ended up going with TextMate, never looked back. If you are looking for an IDE, in my experience NetBeans is the best. I’ve also heard very good things about Ruby in Steel. I’d use Ruby in Steel which integrates with Visual Studio. It also has a free version, definitely worth checking out. I’d definitely gonna go for TextMate. It is ‘the de facto standard’ in the Rails developer community. It has all the tools you are gonna need through its bundles. (like plugins, let’s say.) The community keeps updating the bundles whenever Rails gets a new release so you can keep your IDE functionality up-to-date. Aptana is not too bad if you want to use Eclipse, however NetBeans looks a bit more promising to me. You can get all the necessary tools integrated into your Eclipse workspace. I am not finding any free version for Ruby In Steel, but 60 days trial. Could you tell me how to get free version of it? In short, I would go with netbeans like attila suggested. As far as I know radrails is the best plugin for eclipse with full ruby on rails support. Netbeans however is quite similar. You can download different versions: Just one for ruby (and rails framework) or Any of the full blown java (maybe php too) IDEs. The main thing for me is netbeans can be installed with a built-in jRuby interpreter so you can easily test your code before you even try it in the browser. (btw jRuby should be the same syntax wise as c ruby). Additionally, you might try activestate’s komodo: http://www.activestate.com/komodo/ it pushes it pay version, but i believe they have a free of lite version that the trial reverts to when it is over. Afae is a plugin for Eclipse that does syntax coloring for Ruby (and Rails file types – an tons of other file types). It has snippets too, but that’s about it. If you are looking for a fast, streamline, feature minimal ruby on rails plugin in Eclipse Afae is pretty good. if you use a mac definitely go with TextMate. I used to rely on IDEs for development, still do with Flex Builder but Rails is kinda different and I tend to have TextMate and 4 terminals open (actually iTerm) and this works pretty nicely. Thanks a lot everyone for the comments. At this point, I have installed RadRails as an Eclipse plugin and also installed NetBeans Rails IDE on my Mac. I have also tried Textmate, but I think I will know the real difference only when I start doing some real work. As up until now, I dont see the real benefits of one over the other. But I will give Textmate a try as a lot of people seem to recommend it. Textmate is the way to go. It’s not a bad CF editor either with the CF bundle. 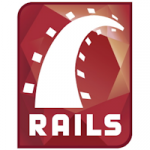 RubyMine 1.0 was just released in the end of April and had a very good marks at the just finished RailsConf. Have to disagree with a bunch of these. I tried RadRails, NetBeans, and 3rd Rail. They were all memory hogs with so much bloat that I wasted more time trying to make them run than I did writing code. I tried Kate, which was about as close as I could get to a fast, lightweight editor, but it has its drawbacks, too. Finally went to Komodo’s Editor, and its been great. Doesn’t crash, fast, doesn’t get in the way. I may move to their IDE, since I would like to have subversion and other stuff integrated, and I wish it had a terminal pane I could keep open, but I’ve given up on trying to use any Java-based IDE with Rails — none of them work as advertised. I came from the .net world, so I wasted a lot of time feeling like I was supposed to have an IDE. You could also try SciTE, which seems to handle ruby quite well. It has been almost a year since I tried the IDEs for rails. Coming from a Turbo Pascal, C++ Builder, Delphi, MS Visual Studio background, I really wanted a nice IDE and tried every one that I could find last year; but I didn’t like any of them at that time. They all seemed bloated and needed more time to learn them than I needed to learn Ruby and Rails. I love TextMate and definitely recommend it. Between in and the Mac terminal, I tend to get things done quickly. The only negative for me is the lack of code completion, but none of the IDEs that I tried had useful code completion, so nothing lost. To clarify my last comment, I am referring to context sensitive completion that give a list of class attributes after typing the dot after a class name or instance. I know that this is complicated by not having variable types, but it could be done for many scenarios. I went for VimMate, as i like Vims capability to highlight everything i ever open. With some plugins it gets as functional as an IDE could be including greate and fast code completion and snippets. Actually, most of the cross-platforms Rails IDE are – no surprise – written in Java. That is why they are performance hogs and don’t look quite compelling (2 best characteristics of Java mind you). So you should go for a Vim equivalent and a command prompt. On MacOS, that means TextMate and Terminal and if you’re not on MacOS then, well, good luck. I used 3rd Rail and Netbeans. 3rd Rail: This was by far the most promising when Borland created it but what’s killed it is the stuff that is wrapped around the Java to ensure licenses are paid. This breaks the Java and on my Ubuntu 64 bit system means that for me both JBuilder (which I loved using) and 3rd Rail were killed off completely. Which is a huge pity because these two IDEs are absolutely awesome. 3rd Rail in particular could have been the only player in town IMHO. Netbeans. Well, what can I say? I tried and tried to get 6.5.1 to work properly but, the bottom line, is that Netbeans is a Java development environment with Ruby rammed onto it. It doesn’t do just about everything that you would expect an IDE to do. Effectively you have a not-great text editor with context sensitive code completion that is basic at best, nowhere near, for example, the stellar implementation in JBuilder or 3rd Rail. Then there are all the problems with trying to run JRuby in it. In short, forget it. Doesn’t work. Creating a project simply doesn’t work. The gems system is broken. In fact, it all is. I have spent weeks upon weeks hunting down obscure errors, misleading output and minimal help online trying to get the most basic of Rails projects created. I succeeded in getting one project shoe horned into existence but only through effectively bypassing everything and anything from the IDE side, hand cranking the creation at the command line and fixing things in vi. Netbeans does have Rails support, yes. But in version 6.5.1 it is pre-alpha at best with none of the features that you use and IDE to obtain. It’s less than useless and I honestly regret taking all the time to try and get it to run. Plain Ruby (non-Rails) worked better for me in Netbeans, but then I ran into the fact that debugging in Netbeans simply doesn’t exist. There is a half-hearted attempt at it, but it does nothing useful other than allow you to step through your code. Variable inspection, watch points, etc may as well not exist and so many debugging features just simply don’t work, aren’t available or simply are not implemented. The best solution for Linux-based Rails programming that I have so far is the good old fashioned vi text editor and google on hand. Good info here guys, thanks a lot. Keep it up and in new wonderful year ! Compilr is an online IDE that lets you compile Ruby from your web browser.